Private (VIP) Montego Bay transfer operating 7 days a week from Montego Bay airport to Hotels, Villas, private residence, and Montego Bay cruise port. For your convenience, we are located inside airport terminal; so don’t worry if your flight is delayed or arriving ahead of schedule. Limited time offer: Add Tour & Airport transfer to shopping cart for instant savings! From 1 to 4 persons: $80 USD per vehicle, per way. From 5 to 8 persons: $130 USD per vehicle, per way. From 9 to 16 persons: $243 USD per vehicle, per way. From 1 to 4 persons: $110 USD per vehicle, per way. From 5 to 8 persons: $185 USD per vehicle, per way. From 9 to 16 persons: $341 USD per vehicle, per way. From 1 to 4 persons: $150 USD per vehicle, per way. From 1 to 4 persons: $39 USD per vehicle, per way. From 5 to 8 persons: $85 USD per vehicle, per way. 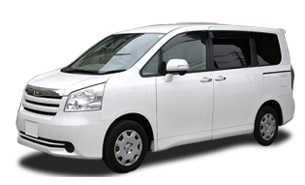 From 9 to 16 persons: $162 USD per vehicle, per way. From 1 to 4 persons: $130 USD per vehicle, per way. From 5 to 8 persons: $205 USD per vehicle, per way. From 1 to 4 persons: $185 USD per vehicle, per way. From 1 to 4 persons: $120 USD per vehicle, per way. From 5 to 8 persons: $195 USD per vehicle, per way. From 9 to 16 persons: $351 USD per vehicle, per way. From 1 to 4 persons: $275 USD per vehicle, per way. From 5 to 8 persons: $350 USD per vehicle, per way. From 1 to 4 persons: $49 USD per vehicle, per way. From 5 to 8 persons: $97 USD per vehicle, per way. From 9 to 16 persons: $175 USD per vehicle, per way. From 1 to 4 persons: $145 USD per vehicle, per way. From 5 to 8 persons: $220 USD per vehicle, per way. From 1 to 4 persons: $60 USD per vehicle, per way. We were very pleased with the service and driver. Both drivers to and from airport where very courteous and professional. I will definitely use your service again as I will be traveling to Jamaica often. Everything was great! Both drivers were very fun! We had a great experience with our private transfer. Both to and from the airport. The drivers were courteous and professional. The service was efficient and we didn’t have to wait at either the airport or the hotel for pickup. We would definitely use your service again and would recommend it to others. Both trips went very well. Drivers were friendly and helpful and explained a bit about the sights and Jamaican culture/history along the way. Would recommend your firm to anyone who asks. I had a pleasant experience using your services. Drivers were on time and very professional. My experience using Jaital was good. The drivers were friendly and everything went as planned. I would definitely use this service again. Great trip. Great driver. Will recommend you to anyone who asks. Great service! We had no problems. Both of the drivers were very nice and loved to tell us about your great country. Everyone was very willing to help us with any of our needs. We will use you again on our next trip to Jamaica! You guys were GREAT !!! Thank you for starting and ending our vacation perfectly. I wish I could remember our arrival driver's name but he was wonderful. Philbert on our trip to the airport was AWESOME !!!! a real gentleman and sooo delightful to chat it up with. It was a great experience! I will be coming to Jamaica 2 times next year and will definitely be using your services! When we arrived at Montego Bay airport and went directly to our meeting place the service was there for us. She was excellent and shortly our driver met us. Everything was smooth and the trip to and from the Breathless resort was great. The conversation with the drivers were good and they were very informative. Your guys were on time. I’ll sure use Jaital every opportunity we can. I’d first off like to say that this was my first experience with your company and it was awesome! Your vehicles, staff and drivers were amazing and friendly. I’ll definitely be recommending your service to anyone and using you again on my next visit. Excellent service as always. Taxi cabs clean. Taxi man clean and presentable, very pleasant chaps. Transfer was on time. Great conversation with driver who became more like family. Clean vehicle! We will definitely use your service again! Great prompt courteous efficient service. We had a good experience with your company...My reservation was confirmed quickly, instructions were clear making it easy to find you at the airport. We will recommend your service to our family and friends. The ride was good and the driver was very friendly and knowledgeable of the area. Everything went smoothly as indicated in the website and directions. Great service, hope to have a similar experience with the transfer back to the airport on Thursday. We travel 3-4 times a year to the Caribbean and use private transport. Our round trip to Oyster Bay was the best experience we've had in the 12 years we've traveled. Both cars were immaculate. Both our drivers were proud ambassadors of Jamaica and pointed out historical sites and points of interest. We chatted throughout the trips and spent much of the drive with Vincent exchanging experiences and finding we have the same sense of humor. We laughed all the way to Oyster Bay. This trip was my second time using Jaital and it was an enjoyable experience. I would definitely recommend your company to anyone I know traveling to Jamaica that needs to arrange transportation. I greatly appreciate your service. Service is outstanding! This is my second time using this company. I will continue to do so going forward. The transfer was on time, communication was great in regard to return pick-up time and the driver personable. The van was spacious for six of us and clean. Our experience was good. Driver was knowledge,professional and very nice. Professional safe drivers – on time service. Check in at the airport was easy and fast. Short walk outside to the van. I had booked private transportation for 8 of us to Beaches Negril. I had requested carseats and they were in the van. Van extremely clean. Driver professionally dressed, polite, and most importantly was a safe driver. The large van we had sat exactly 8 people very comfortably. We were given a return voucher. The driver arrived exactly on time. Different driver – still very professional and friendly and again I felt safe with his driving. And that is saying something with the typical crazy island driving and narrow winding roads. Driving through the small towns is particularly challenging. There was a lot of traffic particularly when we got to Montego Bay with 2 cruise ships in town. I was actually beginning to wonder if we would make it to the airport on time but obviously they know the timing as we were over 1 ½ hours early. Would definitely use this transport company again. I thought your service was worth every penny. Both trips were perfect. Was recommended by family and would again. Both ways were great , the drivers were courteous and informative , giving us a little history along the way. On the the return trip our driver was waiting ! Best experience ever. We would recommend to anyone and loved your service. It was worth the value that we paid. Thank you again!! We had a great experience and our driver was magnificent. I would definitely book with this company again. Thanks for the hospitality! Everything went very smoothly. No complaints at all. Thank you so much! We had a wonderful experience with our private transfers. We would definitely use your company again and recommend you to others. My experience with the drivers of Jaital was spectacular! Everyone was very kind & talkative, my husband and I learned a lot about Jamaica during our short rides! We had great drivers to and from the resort. We felt safe and had a nice conversation with each driver. Would definitely use Jaital again for future visits. Our experience with your company was excellent! The drivers were very professional and very friendly. We were met at the times we were told we would be. Thank you for enhancing our Jamaica Experience ! We will definitely be using your service on future trips. I was very very pleased with your company. Both drivers where on time, helpful and very kind. We for sure will be using your transportation again. Our driver was very friendly, personable and knowledgeable. He provided a nice, pleasant experience. The recent airport transfers we booked to the RIU Reggae were outstanding. No hassle at the desk- a driver was waiting for us, had water and wonderful conversation. The driver was prompt for the return trip. Excellent service! My wife and I have visited Jamaica each year for the past 15 years. We usually stay at resorts that provide transportation to and from the resort and airport. This is the first year that we had to seek transportation to our resort. I can not say enough about the excellent experience we had with your company and the drivers. Without hesitation, you were able to change our date of arrival do to weather in the Northeast USA, we arrived a day late, and again on our departure as airline changes resulted in changes in our pickup time at the resort. Our congratulations to you and your employee for an excellent experience. We enjoyed our trip and transfer with your company and would definitely use it again. Our driver was Denzel for both our trips and he was very informative and a great driver. I will most definitely recommend your company to all of my friends. Good driver, had a great trip in. I wasn't sure it was worth it to pay for a private transfer when it was already free but it absolutely was. Our driver was so good we requested him for the trip home. My husband and I plan on using your services on future trips. The service was a delightful experience. Paul my driver was very polite and friendly. Definitely I would use your services again. Everything went well. I will definitely use in the future. Very dependable I will use Jaital next time I'm in Jamaica. I will book a tour next time. Everything was very easy to navigate on your website, and both transfer drivers Greeted us by telling us their names. Both were very prompt At loading our luggage, And then placing us into the vehicle for the transfer to our resort, and then from resort back to the airport. I will recommend your transfer company to my clients. We are missing Jamaica very much and are hoping to go back again soon. We returned to Canada to - 29 degrees. BRRRRRRRR. As for our private transfer with your company, we had a wonderful experience. Our driver was a wealth of knowledge and an exceptional driver. We requested him for our return transfer back to the airport. I let him know that I am a travel agent and will absolutely recommend him and Jaital to all my clients for transfers and tours. thank you for the fantastic service (and safe) that your company provides. Prompt, courteous, clean and fun. Excellent service both ways. Service was excellent…both drivers were terrific. We received excellent service from Jaital. The driver, Denzin, was on-time and gave us excellent advice on places to see. We are very happy that we chose Jaital. The trip from the airport to the resort went well. Excellent experience! Our driver was professional, friendly and knowledgeable. Our vehicle was clean and we were very comfortable with his driving. I would recommend your company to family and friends. Myself and my two travelling companions were extremely pleased with our transfers. Both drivers were lovely as well. Loved using your services. Vehicles were clean, on time and the drivers were great. They told us about the island to and from the airport and hotel and we're very polite. I would highly recommend your company. We had a wonderful experience both coming and going to the resort with your drivers, they were courteous, knowledgeable and had a good sense of humor. We would definitely use your services again. Everything went perfect. Drivers were timely and extremely personable. Will def use you guys in the future. We received quick, organized, professional service from everyone- the staff at the airport and our drivers. They were friendly, knowledgeable and courteous. Great service. My experience was good with Jaital. It was easy to navigate online and it is a good company. I was able to find it easily in the airport and For my returning trip my driver came in a good enough time which made me get to my flight safe and early. The only thing I would say is to keep up to date with the dates and time because my driver got mixed up with my date and came a day early. But it was good to see that they are prepared and always ready. The services were great and I will definitely use it again. Our driver to and from our resort and he was awesome!! Overall it was a great experience. Our drivers were on time, courteous and professional. This was our first time booking with Jaital, and we will in the future (we come to Jamaica a minimum of once a year). It was easy to book on the website and the service was great. We had a great first impression. The driver was very friendly. We were very pleased with the service provided to us in part of getting us to and from the Riu Resort in Montego Bay. From purchasing / reserving time online to getting back to the airport left us without worry and we were able to enjoy our vacation. Thank you for your professionalism and the kindness of all those we encountered. The service was excellent. Professional and courteous. This is the 2nd time we have used you and we couldn't be happier. We will use you again in the future. Our drivers were very professional and polite. The cars were clean and comfortable. We were so glad we went with a private transfer! In addition, each driver gave us interesting history regarding the island. Hopefully we will return to Jamaica and will definitely make another reservation with Jaital! We recently used your service to go from Montego Bay to Kingston and back. Our request was a little unusual in that we were spending one night at the Hyatt in Montego Bay and then going to a hotel in Kingston, so the website drop down menu didn't really suffice to arrange this but your excellent customer service person on the phone was able to set it up. She sent me emails for each reservation, I was easily able to confirm the data and pay and I promptly received receipts. Re the drivers- our driver from the Hyatt in Montego Bay was excellent. He drove well, knew the route and was quite pleasant and interesting to talk to. We arrived ahead of schedule. The return was fine. The driver was not familiar with the new highway and was a little less skilled in driving, but we made it fine and he was very polite. All in all it was an easy and simple process and we appreciate that kind of service. I will very much recommend this company to anyone! Our driver from the airport to the hotel was Derrick. He was fantastic! He was our first real contact with Jamaica, other than the customs people and your front desk people. He was courteous, informative, a very safe driver and a very interesting person to talk to during our 45 minute drive. We were very please to have him as our driver, again, when we transferred from the hotel back to the airport. We began our Jamaica experience and ended our Jamaica experience with Derrick and were very pleased! The journey to MBJ airport was relaxing, professional & prompt. Everything was great to and from the airport. Excellent service in Jamaican transport. Great experience. Drivers friendly and professional. Cars extremely clean and new. Drivers were on time. I would definitely use and recommend your service. Me and numerous family members travel to Jamaica each year and I will use your service again. I plan on going on trip advisor and sharing your excellent service. Don't change a thing! Thank you for making the arrival and transition to hotel seamless. We were extremely pleased with our experience from ease of booking to the professional and friendly staff. We would definitely choose this service again and will recommend to others as well. Outstanding service! Drivers were friendly, engaging and informative. No wait time for pick up and got my family to our destination promptly. Thank you so much for helping to make our first experience in Jamaica a wonderful experience. Everything was great! Loved the service and the wonderful people you have working for your company. For the trip from Montego Bay to our hotel it was much better than expected, we got our childseats and the driver was very helpful and drove carefully. The bus was in good condition. Will definitely use your company again, as well as our friends will too: they chose to use the free shuttle and said it took forever to get to the resort. Our driver was awesome: stopped for road beers and Jamaica pudding...was very friendly, funny, and knew a ton about Jamaica (Ricardo was his name...would love to have him again someday). Thanks again for a great experience! You'll definitely hear from us again! Great experience! The process for booking the private transfer online was extremely easy and quick. Our driver was ready and waiting when we arrived and he was very professional. The transport bus was comfortable and the perfect size for our family. I'll use this form of transportation again and recommend it to others. The experience was the best We will use the service when we return. Thanks foe everything. We had a great experience! Drivers were courteous and very friendly and the vehicles were new and very clean. Because our our experience with Jaital, we will use you again on our next visit. I enjoyed the experience very much. When I went to the counter the clerk welcomed me by named, walked us to the waiting vehicle, introduced us to the driver and we were off. Our driver was gracious and informative could not have been better. It was a last minute decision to book a private transfer and I'm glad we did. It was great. Will use you again. We had a great experience with Jaital, the ride from Sangster to Ochi and the driver, Mr. Clark. The entire experience started our vacation off on the right foot. Everything was both professional and enjoyable. We will use Jaital again on future trips to Jamaica! I truly enjoyed the service we experienced, and I won't hesitate to use you in the future. My family and I used your service going to and from the airport to the home that we rented on Jamaica during our vacation (1/7/17 & 1/14/17). Your service was great!! The drivers were very courteous and helpful! Our trips back and forth were very smooth and easy. Thank you very much! We will recommend your service and use you again if/when we visit again! Honestly, the experience from Jaital was fantastic. The website was easy to navigate and pick the option that fit my needs. Both drivers were so friendly, informative, and engaging that my whole family commented on just how great the service was. I will certainly use your services again if my travels take me back to Jamaica. Our experience was very good with jaital.. our driver was very polite and accommodating.. he was fairly knowledgeable and we would use the service again if/when we return to beautiful Jamaica again! Excellent service! Beautifully clean car and lovely driver! We had a great experience. Everything worked out well. Experience couldn't have been better. The vehicle was clean and modern. The driver was the very best..... he provided lots of great information about Jamaica as well as things to do. Both of the trips (to and from) were on time. We could not have been happier with the service. We will definitely use you again. Drivers to and from the airport were both professional and polite. Thank you for such great service. You were very accommodating when our flights changed and we had to change our reservations. Very prompt service and wonderful transportation. We will use you again on our next trip. I found the transportation company right here on TA. I emailed them and received a response quickly along with a conformation after purchase. Once we landed and got to their kiosk we were greeted with cold bottled water and a beautiful smile. The representative walked us to the vehicle where the driver was awaiting to take our luggage. I wish I'd remember the drivers name, but he was extremely friendly. The same driver picked us up to take us back to the airport and was even early. I'd recommend Jaital to anyone who's looking for any type of tour or transportation [TripAdvisor re-post]. My experience was amazing. My driver was awesome. He made me feel so comfortable and safe. Which I feel is so important being a female traveling to a country that I never been to. I would recommend him over and over again. Jaital was great. They were totally on top of everything. Fantastic service as always. Polite and on time. Your services were awesome as always! Everything was wonderful! From start to finish! Both drivers were kind and courteous. They both were very knowledgeable about Jamaica. And both vehicles were immaculate. The drivers were awesome and informative. I was extremely pleased with the experience. Drivers Was waiting on time, pleasant, informative, Helpful. He was even early. I have had very negative experiences with other companies in the past. I booked a private transfer from Montego Bay to Ocho Rios and a transfer from Ocho Rios to Montego Bay. The online booking process was user friendly, it was very quick and easy to use. I was assisted with my 10 suitcases 4 hand luggage and 4 rack sacks. The customer service at the desk was very good and pleasant, which is what I needed after 9.5 hours flight. I was very impressed with the vehicle, it was more than I expected. I travelled in a party if 4 and the vehicle could easily hold 9. This made my transfer very comfortable and relaxing. The bus was fully air conditioned and well maintained. The drivers were very professional and friendly. This is definitely the way to travel when visiting Jamaica. Overall it was a good experience and I would definitely recommend Jaital Travel. Our transportation was great both from the airport & returning to the airport! The drivers were waiting on us both times & both were very friendly! Our driver Kirk was excellent. He pointed out different things to us as we drove along which made the trip from Montego Bay to Ocho Rios go by quickly. We had a great experience with your company. The drivers, for travel to our hotel on arrival and our return trip to the airport, were great and very courteous. They were accommodating for our needs for stops to go to restroom. They were very informative in pointing out things of interest and telling us about each town as we entered them. If we have a return trip to Jamaica we will definitely use your service again. We will recommend your service to friends if they travel to Jamaica. Trip was fantastic. Once we got through customs and immigration we were in our ride to the hotel within minutes. Our experience with Jaital was very good. It was easy to connect with ground personnel in Montego Bay. We were a bit concerned that the return van would not arrive. The driver arrived half an hour early and relieved our fears. He was very helpful and pleasant. He also told us what we were seeing as we drove back to the airport which we really appreciated. He was willing to answer our questions and made the trip enjoyable. If we are ever lucky enough to return to Jamaica, we will not hesitate to do business with your company again. Thank you for caring enough about customer experience to request this info. Everything went perfect, the drivers were very friendly, the service was one of the top services ever had before . Thanks really to you all. We were very impressed with Jaital for both legs of our hotel/airport transfer. We were picked up on time and with a minimum of fuss. Vehicles were in very good condition and both drivers courteous, the driver from the airport gave us much local information on the way. We have used Jaital in the past and have had good experiences both time! I did have a wonderful trip and the driver was awesome. Everything was great. There was no waiting for a ride at the airport and the driver was friendly and safe. On the way back the driver was waiting at the hotel and got us back to the airport with no delays. We will keep using jaital when we travel to Jamaica. I would highly recommend your service to friends. The car was prompt, and service was outstanding. Our driver made the trip enjoyable. He was very informative about facts and just a great ambassador for your company! Everything went good, both drivers were very professional. Service was excellent. The driver was punctual, very professional and made the experience very memorable. After a long day of travel it was nice to relax. I will use your service in the future and will also tell others about Jaital. Thanks for the excellent service, transfer & driver! Everything was great! We had a great time in Jamaica. Our group really enjoyed our private transfer, service and most of all our driver Kirk. He was very accommodating and great to talk to during our long ride. We would definitely recommend Jaital. Thanks for the great service. Both Kirk and David were awesome. Very friendly, professional, and fine ambassadors for your company and for Jamaica. And the vans were meticulously clean and very comfortable. We'll be using your service again for sure. Our trip to Hotel Riu Ocho Ríos was very good. The taxi driver is a special person, sentimental and like the old and good Music. We enjoy that. Our experience was grateful. We hope to return trip will equal or best. My experience with Jaital was excellent. The drivers were very friendly and on time. We are visiting Jamaica again next year and will be using Jaital for sure again. My experience with my driver Derrick was so pleasant and nice I have been coming to Jamaica for the many years and I did not know all of the things that he pointed out to me on the way to the airport like a private hospital in lots of entertainment features driving from Montego Bay that I did not know about . Unfortunately I do not have any American money Jamaican monies my stay was rather expensive so I did not have a tip for Derrick but he was still the most pleasant driver that I had and I hope to use your service again thank you so very much. Second time I've used your service in Jamaica and was just as pleased this time. Drivers were friendly, courteous and professional and I will definitely choose your service on our next trip. We were picked up exactly on time and transported efficiently to the airport. All staff were pleasant and friendly. We would use this service again. Your drivers were great! We will use you again. We were satisfied with our family airport transfer. We ended up getting the same driver on arrival and departure. He was great!! Very personal ( I wish I remembered his name !!) Very safe and professional !!! It was a short drive from the airport to our hotel but he chatted with us the entire time. We appreciate the flexibility of scheduling our departure. Our airline bumped our flight up by 2 hours and when we contacted Jaital to make the time change- it was a "no problem!" ... thank you for taking such good care of us !!! We had a wonderful experience with you all. I loved receiving your prompt answer. We got our transfer in time, everybody was so nice, polite and helpful! I want to highlight our driver´s performance (Fernand). He was so pleasant. For tourists, the first contact with a native is highly important and it was a really nice time sharing the trip to Ocho Ríos with him. We learned a lot from your country, culture and people! The way back to Sangster was very pleasant too! Cole is a very wise man and he shared lots of amazing knowledge with us. In spite of the heavy rain we had a wonderful and safe trip in good time. Thank you very much and be sure we would recommend your services to anyone asking! The trip was great. We recommend it! My wife and I would like to thank your team and the driver for the personal ride to the Jewel Resort. We and our companions were very pleased with the ride, service and value. We had a great experience on both trips. Driver and van was excellent. The drivers were excellent – couldn’t ask for better. Have just returned from my holiday and wish to thank you for a super tour ,your driver was most kind and very informative ,we learnt such a lot about your beautiful island ,I shall be writing a positive review on tripadvisor many thanks again ,such a good time . Thank you for your email. I did, indeed, have a great experience. I used your service to get to Ocho Rios from the Montego Bay Airport on January 3 and then returned again on January 8. Both of our drivers--Vernon and Derek--were extremely professional and friendly; they pointed out places of interest along our route and answered our questions about Jamaica. They were good, safe drivers and I appreciated the cleanliness of both vehicles. We had an excellent experience with Jaital car service. We got our car quickly at the airport. It was a clean car and our driver was safe and friendly. On the way back to the airport the driver arrived at our hotel on time and returned us safely to the airport. His truck was very nice and clean as well and he was very friendly. I would recommend Jaital to a friend to travel in Jamaica. We had a great experience with your drivers. Both were very friendly and informative. Will use you again when we return to Jamaica. Everything went perfectly and will definitely book with you again when we return to Jamaica. As always.... the service was excellent!!! Will continue to use you as our transfers. The transfers from MBJ to Ocho Rios and back went well. The driver was polite and always on time. Much appreciated. Your services were perfect from the meet and greet to the final drop off. I will recommend your services to all the people I know that will require your services. Thank you and look forward to my next vacation using your services! Thank You for the excellent service from the start to the finish. Everything went very smoothly no bumps at all. Driver was there on time and was very professional and knowledgeable,he was a pleasure to have him as our driver and we requested him for our return trip back to the airport.His name was Terry he was a joy. Thanks for the great service!!!! I am so pleased with the service we got from Jaital, not only from Jaital but from all the people who helped us make our trip to Jamaica a fun and memorable one. This is one of the best vacation from any other Caribbean vacations we\'ve been. People are very friendly. The transfer experience was very positive. We were taken to the cab in the car park where the driver Chris introduced himself. Off we went to the resort with Chris providing points of interest along the way. For the return trip the driver turned up bang on 11:00. He found us sitting in the lobby area an introduced himself. The vehicle was very new and comfortable. Journey time was around one hour and we were within good time for check in. I have no complaints about the service. It was all good. Our drive was the best !!!! Very polite . Easy ride, nice experience! Will use again! I had a really good experience with JAital. The staff was courteous and helpful. The driver was pleasant and very careful on the road. I would not hesitate to use your services again. Very good experiences, enjoyed having our own transport and not having to stop at several different hotels on the way to our destination. Always a pleasure using Jaital. The drivers and representatives were polite and experienced! This was my second time with you guys and do look forward to using Jaital again! Both drivers we had were very professional and good. On time pick up too. The service of your bus line was great. The initial driver gave us a history lesson of Jamaica. We would use your services again. The service provided was excellent. Both drivers were very nice and provided us with some great tips for our stay and departure. I will definitely use the service again when I return to Jamaica. Everything was great. We were escorted right to the car after our flight and offered a drink. Our driver pointed out lots of things along our way. On the way home our driver was right on time. I hope I get to come back to Jamaica again soon!! My experience was very smooth. There were no issues during my arrival and departure. Drivers were on time and helpful. Appreciate the service. Service was great!! Drivers were friendly and taught us a lot we didn\'t know about Jamaica! We had a fabulous vacation. Our driver was extremely courteous and friendly and very knowledgeable about the area. We will definately return to Jamaica and use the services of Jaital again. Your driver was professional and courteous. A pleasurable ride! My family and I had a wonderful experience. The driver picked us up on time and both drivers were friendly . Peter was very delightfully and it was a joy talking with him . We will differently be using Jaital in the future . No complaints or suggestions. All went well with my ride n both drivers were nice n didn\'t have to wait for either driver. Timing, service & driver were excellent. We will use and recommend Jaital in the future. Both drivers were very professional. We got to our destinations on time and felt safe. Thank you. Yes the pick up and drop off went very smoothly. Driver was friendly and helpful. We would certainly use you again!! Excellent service! Will most definitely use your service next time. Your drivers were wonderful and your vehicles very comfortable. Awesome experience. Both drivers from the airport and back to the airport were excellent. The customer service was premium. I would definitely recommend this service to all of my colleagues going to Jamaica. Both were drivers had great driving skills and made our party feel very comfortable. Great conversations as well as having a clean vehicle making sure we were comfortable at all times. Booking was easy and everyone I spoke to on the phone were very helpful. Thank you, our transfer experience over all was fine. The trip to Ocho Rios with the driver Peter was informative with much Jamaican history shared. Great transfer service. Pick up was prompt and driver was very courteous and knowledgeable. Vehicle was clean and well kept. Our experience with Jaital was very good. The car was clean and well cared for. The driver, David, was pleasant and knowledgeable about the island. We would definitely use Jaital in the future. All went well. Drivers were great and cars were clean, Would recommend. We were very please with Jaital service. The car was available on time, it was clean and service was very professional and pleasant. I would definetely use it again and recommend to my friends. My transfer to Ocho Rios was professional and efficient and the car was comfortable. The staff were friendly and courteous. All in all the experience was of a high standard and I would definately use your service again. I appreciate your competence and accuracy – thanks for the efficient service provided by you! Everything was well organized and on time! Wish you all successful operation and many happy clients! The trip was perfect. The car and the driver were on time , polite and friendly. They responded to my emails right away. We had a very good experience. No concerns at all. The van was clean and comfortable. The drive was very polite and his driving did not scare us at all. we had the same drivers both from and returning to the airport. It was a really pleasant experience. The drivers were nice and attentive. The 3:30 a.m. pick-up on Saturday morning from our resort was on time. I would recommend the service to others. I was quite happy with the transfer services provided. Both the trips, from and back to the airport, were on time, very comfortable and went without any problems. In addition, both of the drivers who served us were courteous, well versed on the history of the area we traveled through and knowledge of our surroundings. Both drivers were friendly and helpful in our transportation transfers. I would readily suggest your company to any friend or family member traveling to Jamaica, and look forward to using you again for my next visit. On are recent visit to Jamaica we utilized your private transfer service to provide transportation from Montego Bay to Negril. And then again for our return trip home. Our driver was prompt at the Airport and took us in a large comfortable, air conditioned passenger van. In route he shared a wealth of information regarding local history and sites we passed on the way. Additionally he stopped at a local store we purchased snacks and beverages for our ride. Seven days later, we were happy to see him again, (10 minutes early) to take us on our return trip back to the Airport. The service you provided was affordable and hassle free and provided with professionalism. Furthermore we heard stories from other vacationer’s who took local taxis from the airport who had gotten taken advantage of in price and were not happy with the vehicle they rode in. We would utilize your service again, and highly recommend travelers to utilize it also. Everything went quite well and would certainly use Jaital again next time I am in Jamaica. Thank you for your service. from booking to arrival to round trip transport, all went well and on time. I will engage you again upon my next visit to your wonderful island. We really enjoyed our driver Brad going to the airport. He was very interactive and sociable. The experience was great well done. Our experience with your company was awesome! We were picked up and dropped off on time both ways. The drivers were so nice and answered all our questions. The driver we had on our way to the resort was so friendly and talked to us about the history of the island and pointed out all kinds of interesting places. I was glad we chose the private transfer because it took us straight to the resort without stopping. We really enjoyed our time in Jamaica and we will return sometime! Thank you for your professional service. We were picked up on time for both trips. The drivers were friendly, safe and knowledgable. The vehicles were clean and well maintained. The staff at the airport was very helpful. We will use your company each time we return to Jamaica. Thank you.